Everyone has a story to tell. When shared, these stories deepen mutual understanding and spark community dialogue. Slam Poets @ Alley Theatre's mission is to teach students vital skills necessary to cultivating and nurturing their own dynamic voices. This program will instill students with the courage to articulate and defend their most personal ideas and experiences in a public forum. Slam Poets is a 5- to 16-day in-school residency. Days can be booked consecutively or spread out over multiple weeks. This program can serve one classroom or a whole grade level. 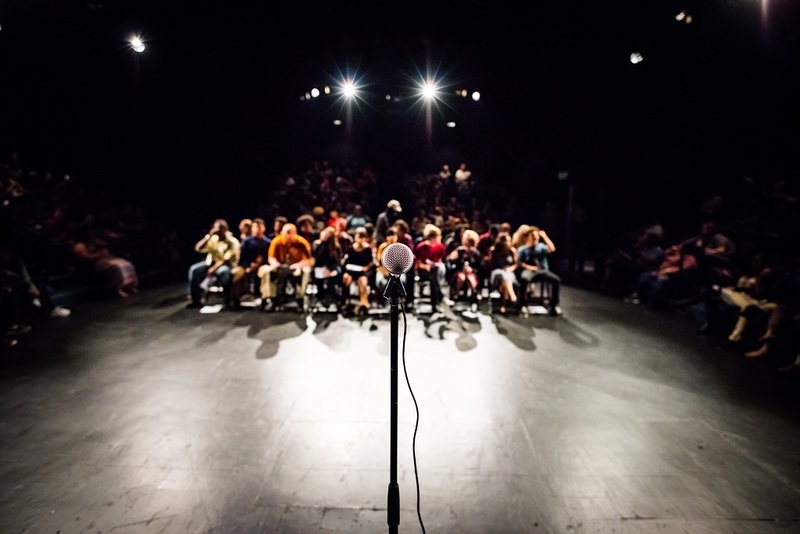 All schools will be invited to participate in the official fall and spring Poetry Slams on the Alley Theatre's stages.